Once a bustling city, Gary has experienced a decrease of over 100,000 residents in the past several decades. The decline in population has had grave impact on previously successful small businesses, including restaurants and grocery stores. However, the remaining residents of Gary are resilient and resourceful, prompting the early seed of development for ArtHouse. 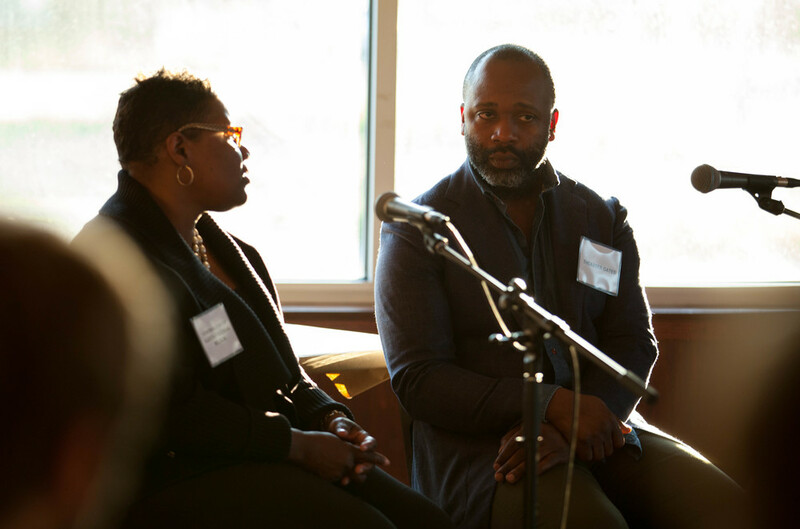 ArtHouse: A Social Kitchen is a collaborative project, spearheaded by the City of Gary, Mayor Karen Freeman-Wilson’s office and Theaster Gates with the University of Chicago’s Place Lab and Harris School of Public Policy. The project will turn the building, partially occupied by Mama Pearl’s, at 411 East 5th Avenue in downtown Gary into a platform for economic and artistic activity. When ArtHouse was in the planning stages, Mayor Freeman-Wilson identified a need for more restaurant and food options in the city. University of Chicago confirmed Mayor Freeman-Wilson’s sentiment when student researchers discovered that Gary residents spend approximately $57 million at restaurants and $46 million at grocery stores outside of the city. ArtHouse will serve as a public art gallery, a culinary business incubator and a food service training provider. The goal is to tap into local talent to create new food-based businesses in the area, work toward decreasing the city’s unemployment numbers and provide Gary residents with more options for dining out. ArtHouse is being viewed by many as a step towards the revitalization of the downtown Gary area. Mayor Freeman-Wilson and others hope that, within a few years, the business incubator at ArtHouse will have helped to populate the area with new restaurants for the people of Gary and surrounding communities to enjoy. For more information on ArtHouse, visit www.arthousegary.com.